The Preakness Stakes took place earlier today at Pimlico Race Course, and the performance was almost the same as the Kentucky Derby. I’ll Have Another came from behind and won by a head, just in front of Bodemeister. With wins at the Derby and Preakness, I’ll Have Another has a real chance of winning the Triple Crown! 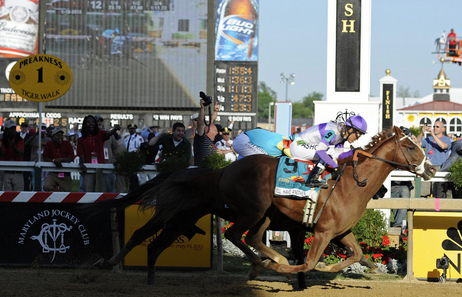 The final race of the three is the Belmont Stakes – with takes place June 9. The last Triple Crown winner was Affirmed in 1978. Do you think we will have a Triple Crown winner this year? Triple Crown Winner American Pharoah! Will There be a Triple Crown Winner This Year?